I received this scarf from newchic.com for my review. The opinions are all my own. This post contains affiliate links. See my disclosure statement. Today I'm linking up with Ann at in residence. 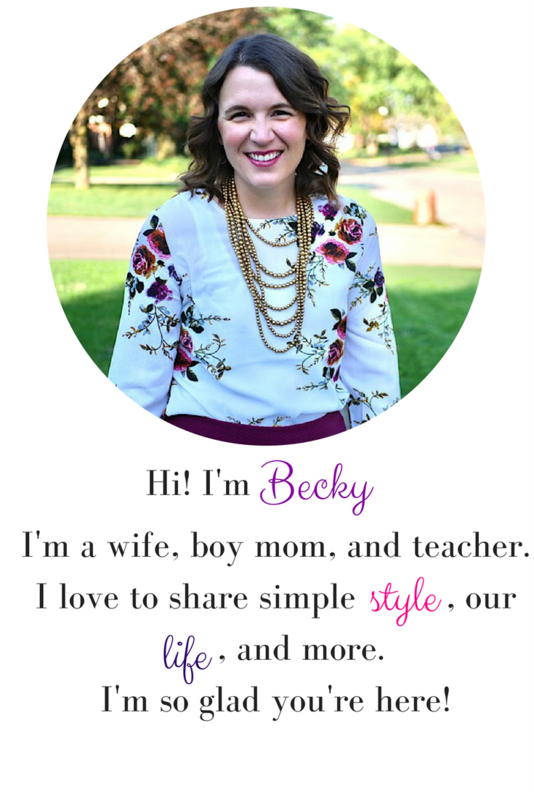 She is starting a monthly Mom Style Linkup and this month it's all about jeans. I LOVE the look of blanket scarves. There are so many fun plaid color combinations. When New Chic offered a shopping experience, I took a look around their accessory section, and this beauty caught my eye. It has the color mustard in it! #givemeallthemustard. I'm wearing it shawl style, inspired by Tif. I cut my other square blanket scarf in half, but I decided to refrain from doing so with this one. I'm glad I did. The ability to wear it as a shawl give a whole different look! Pairing the shawl look with a long necklace was new for me, but I love how the green in the Kendra Scott Rayne necklace catches the subtle lines of green in the plaid. So, I have to admit, this outfit hasn't made it out of the house, yet, but it will sometime in the next few weeks. I wanted to dress up my jeans a little, and I think this does the trick. I'm pairing it with my wedge booties which are my go-to shoe. Also, this outfit fits in with my 20 items in 21 days challenge! What do you think? Have you tried wearing a blanket scarf as a shawl yet? 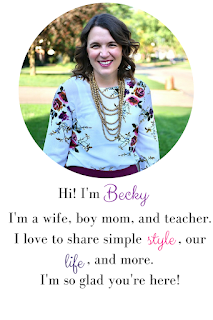 Linking up with Sydney Fashion Hunter, Jersey Girl Texan Heart, Pumps and Pushups, and Thursday Fashion Files.